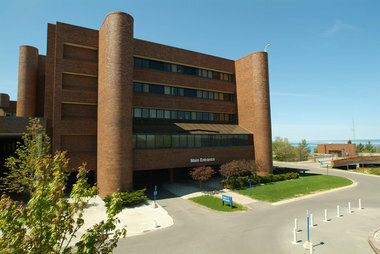 McLaren Northern Michigan Hospital is a regional referral center for Northern Lower and Eastern Upper Michigan. McLaren Northern Michigan provides a comprehensive spectrum of medical and surgical specialties and has been recognized as a leader in patient safety. The wide range of services offered at McLaren Northern Michigan includes Obstetrics, Gynecology, Urology, ENT, Neurosurgery, General/Vascular Surgery, Orthopedics, and Cardiothoracic Surgery. The Structural Heart Program at McLaren Northern Michigan is one of a select few centers in the state of Michigan to offer Transcatheter Aortic Valve Replacement (TAVR) and the MirtalClip Procedure. McLaren Northern Michigan as is an active regional trauma center that provides care for complex orthopedic injuries. In addition to providing anesthesia services for all these surgical subspecialties, Northern Anesthesia Providers frequently cares for patients during the wide variety of Cardiology and Radiology procedures offered at McLaren Northern Michigan.